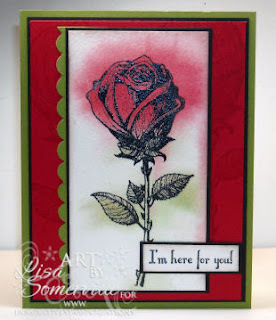 Samples using the new ISC Hibiscus with the Marker Watercoloring Technique, and Sketch of Roses using the Marker Wash Technique. 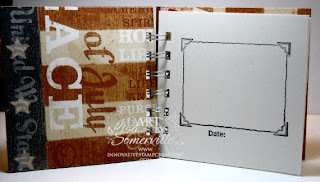 The Sketch of Roses card also uses the Ranger Watermark Pad featured in the MOP Kit listed below. 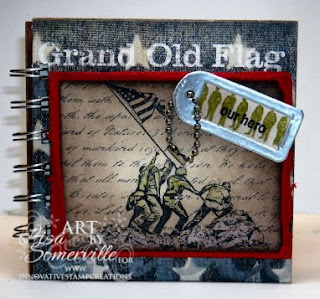 Here's a BIA Book I created using the new Memories of Patriotism set along with items found in the MOP Kit listed below. A few years ago, some of the images on the Memories of Patriotism sheet were created in collaboration with a wonderful and talented artist,who is currently going through a difficult health crisis. ISC is not at liberty to share and the artist is not aware that we are doing this Fundraiser! 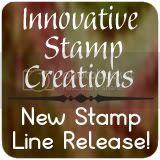 This artist is truly gifted and has an amazing heart, it has been a joy collaborating on various ISC stamp lines! Therefore, from every single MOP sold, $10.00 will be put aside and given to the artist. The fundraiser will end on Monday, June 15th. ISC thanks you in advance for your support and thoughtfulness!